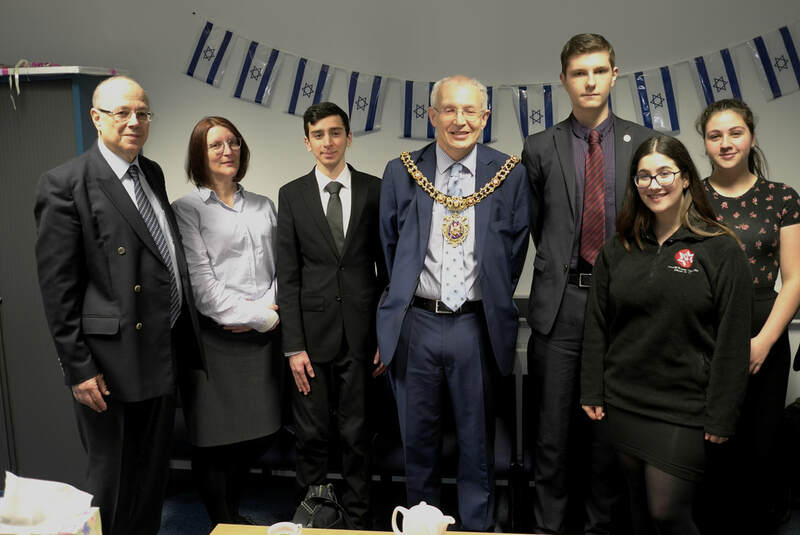 King David High School Sixth Form welcomed Lord Mayor, Eddy Newman, to the school. The Lord mayor spoke about his involvement in local community relations since 1974 and took questions from students on politics and local issues. Mr Rowe, Mrs Basger, Louis Glaskie, Lord Mayor Eddy Newman, Simeon Kudenko, Ria Cohen, Caroline Rashman.